»Don't Miss These Indian Festivals in December 2016! Don't Miss These Indian Festivals in December 2016! December, the last month of the year is here! Where all have you travelled this year? How many new stories have you heard of? How many cultures have you seen? How many smiles did you fall for? How many festivals have you celebrated in India? India, being a land of diverse cultures, you have plenty of festivals to be a part of, to know more about those places, and to take part in their rich tradition that they portray. Here is a list of some of the Indian festivals that are happening in December 2016. Do not miss them! Event: The festival named after the bird hornbill, is also known as the festival of festivals. All the major tribes of the state take part in the festival, and each day the celebrations start around 9am. This is a feast of the rich culture and tradition of Nagaland. The The Hornbill International Rock Contest also takes place during this time. Event: The Indian Sand Art festival is conducted in Konark, by the Odisha Tourism department. It was held here along with Konark Dance Festival and since the Chandrabhaga Beach was close to Konark, tourists used to visit both these places on a single trip. You can find several sand sculptors who make sand sculptures on the shores of the beach. 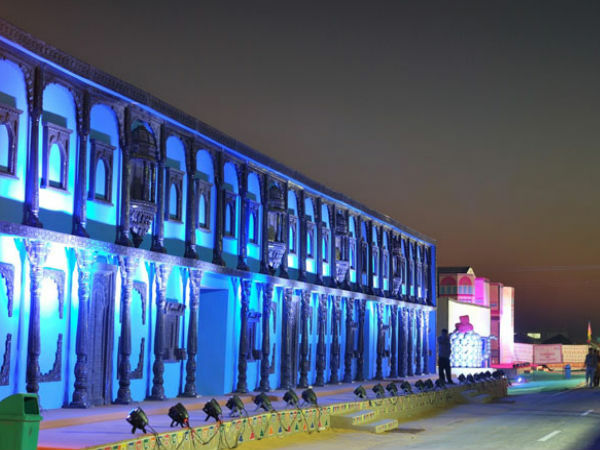 Event: Rann Utsav portrays the rich culture of Kutch and Gujarat. The festival that goes on months together is visited by tourists from around the world. Some of the activities of the festival include horse rides, camel safaris, paramotoring, archery and net cricket.This is one of the top Indian festivals in December 2016. Event: This is a unique festival of art, music and food. It takes you through a journey from the ancient India to the contemporary India by showcasing models, conducting yoga shows, portraying art pieces, etc. There are several games conducted during this festival like the treasure hunt. Ballrooms and DJ shows are also a highlight of this festival that is held in a heritage hotel in Rajasthan. Event: This is a literature festival held in Mehboob Studio of Mumbai, where several book launches, discussions and other events related to books happen. The theme this year of the Litfest is 'The Man-Woman Thing' which is related to the US elections that happened recently. Take part in these festivities and get to know the culture and heritage of an India you were yet to explore. Have fun and keep travelling!